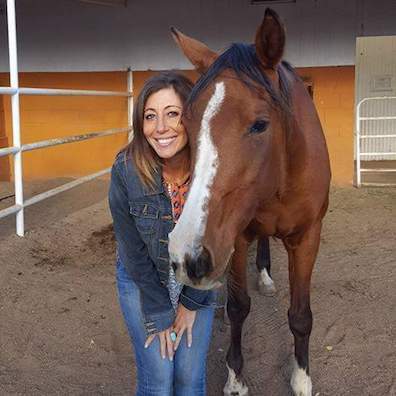 Through her own life experience and love of horses, Dana supports her clients through compassionate listening while guiding them back to their bodies’ own innate intelligence. Using nature, intuition, empathetic listening, all five senses and grounding, she blends her training and the metaphorical horse who offers feedback and presence to each experiential session. Leading each person down a pathway to self-awareness and empowerment, Dana gently highlights patterns that no longer serve her clients facilitating wholehearted healing and personal growth. She is a certified life coach through the World Coach Institute with a niche in addiction, an Equine Specialist through EAGALA and is certified in Somatic Yoga and Equine Ohm. Originally from New Jersey, Dana now resides in New Mexico and has a Polish Russian Arabian horse named Mia. Her passions lie in serving those suffering from trauma and neglect.